Former journalist Luke is a fan of true crime and old gangland wars. He’s escaping the loss of a story and relationship turned sour when he heads to Brighton. Luke soon discovers he’s staying in a property owned by a former underworld figure turned businessman and philanthropist; and realises a new (essentially untold) story has landed in his lap. Joss Grand and his childhood friend Jacky Rye were infamous in the 1950s and 60s. Starting out as thugs they made money and rose to infamy through gambling and protection rackets. The apparently-inseparable pair, who had both served time in prison, were moving into the property market and becoming legitimate businessmen in the late 1960s when Jacky was killed. Nearly 50 years later his killer has not been caught. Luke is certain that Joss is behind Jacky’s death, although doesn’t know why, and decides to write the story that proves it. And he’s pleasantly surprised when Joss – now in ailing health – agrees to a series of interviews about his life. Luke soon discovers however, the events from half a century before are still impacting on the lives of many and realises too late there are some secrets that should remain hidden. There was a lot I enjoyed about this novel and the ‘twist’ at the end certainly surprised me. There was also – however – a lot happening in the novel which didn’t really add to the story in any way (namely the whole relationship thing). For some reason they felt like two very different plots: Luke’s life with Jeremy and his friends vs his pursuit of Joss the story behind Jacky’s death. 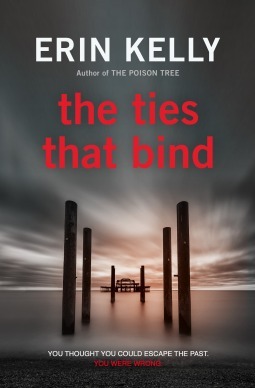 Sign into Goodreads to see if any of your friends have read The Ties That Bind.